Umbrella Bed is a ska band from Minneapolis. They have been doing their thing for nearly two decades now (The band formed in 1995) and they are the veterans of many tours and gigs. With a rather unique sound these guys have a strange, if distinct artist direction. I can't claim to know much about ska but I will say this, Umbrella Bed play with a sort of manic joy that just makes their music addictive and fun. A great example of this is on the track Two Tone Monster, with its hectic saxophone playing and jazzy breaks. The way they simply go for the gold with their happy go lucky attitude and unapologetic dedication to ska in its purest form, Umbrella Bed are simply a joy to listen too. Sure they may not have the brutal riffs readers of this blog know and love, but their is something pure, something magic, that the music of Umbrealla Bed has that makes them impossible to stop listening to. 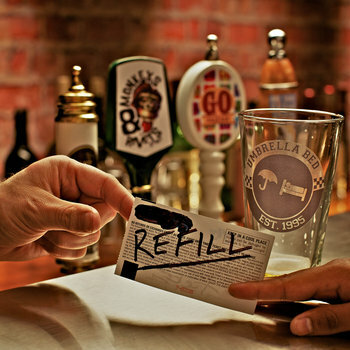 The product of wonderful songwriting and years of experience their new record Refill is definitely worth checking out, even if you don't dig ska!